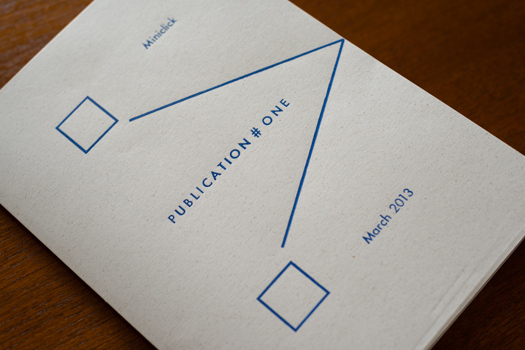 On March 28th, 2013 we launched the first issue of the Miniclick publication – Publication #1. 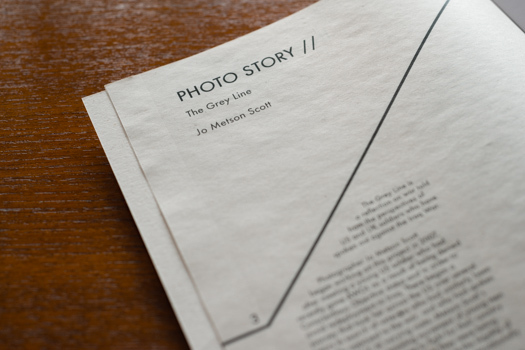 Our first issue concentrates on Women in Photography, coming at the end of a month of events we put on to discuss that same theme. 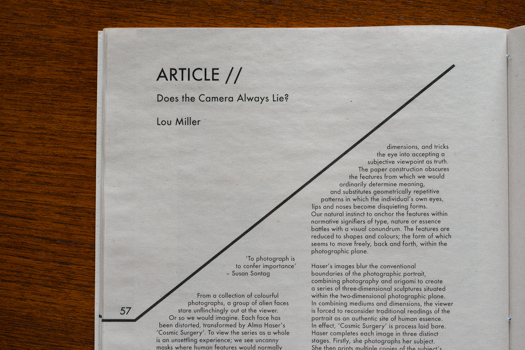 Coming in at just under 70 A4 pages, we feature the work of 8 different female photographers, plus we have eight different features written exclusively for this publication by a range of writers. 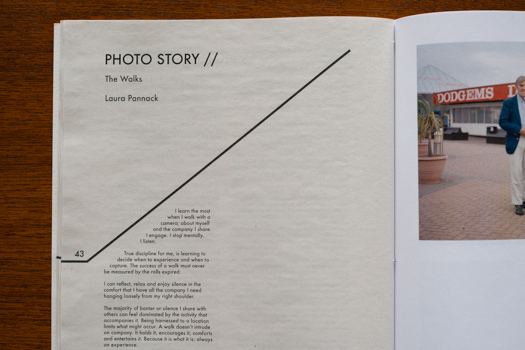 Photo stories come from Abbie Trayler-Smith, Agata Pietron, Alma Haser, Chloe Dewe Matthews, Jo Metson Scott, Laura Pannack, Maria Gruzdeva and Natasha Caruana, while features come Eleanor O’Kane, Lou Miller, Joy Stacey, Maja Daniels and Laura Pannack, Louise Hobson and Natasha Caruana and Afshin Dehkordi. 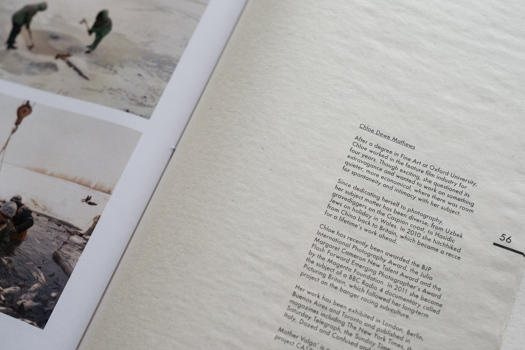 The publication was design by Stanley James Press and printed by Stampa. 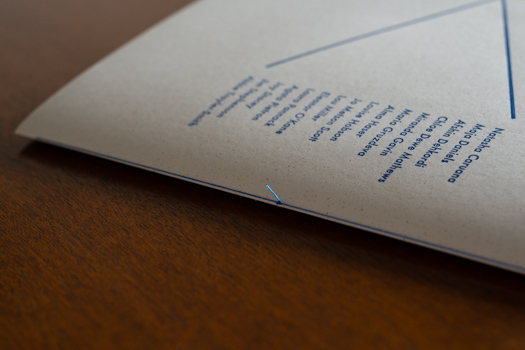 Please note: there’s 75 special edition copies available that have a letterpressed cover and saddle stitch binding (hand stitched by one of the Miniclick team). 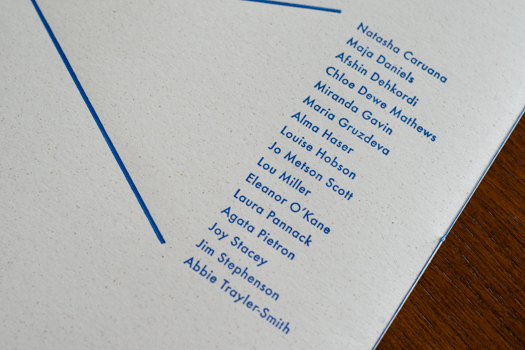 These are first come, first served and pictured here on this site. 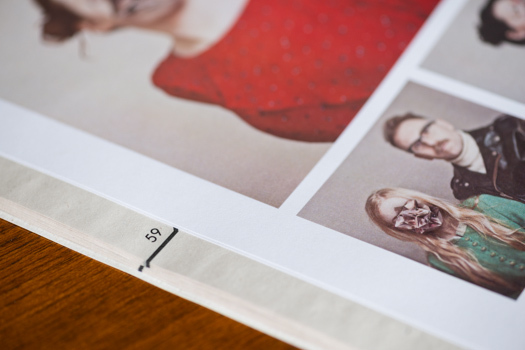 All other copies are exactly the same as the photos and video, except they have a printed card cover and stapled binding. 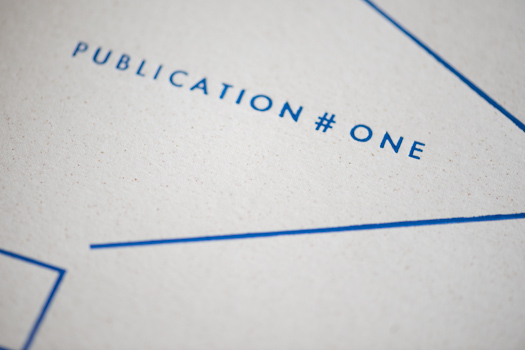 As we are a not-for-profit organisation and Publication #1 is non-profit making project, all purchases of the publication are treated as donations. Many thanks! 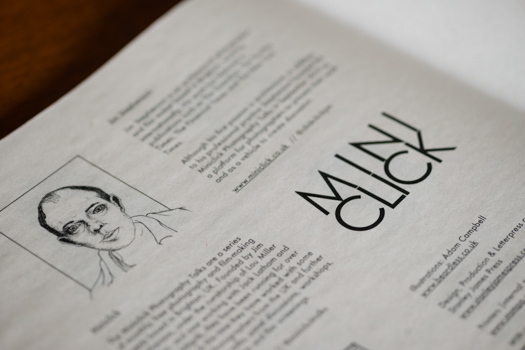 Writer and educator, Miranda Gavin is our editor, with Miniclick co-curator Lou Miller as sub editor and Miniclick founder Jim Stephenson as commissioning editor. 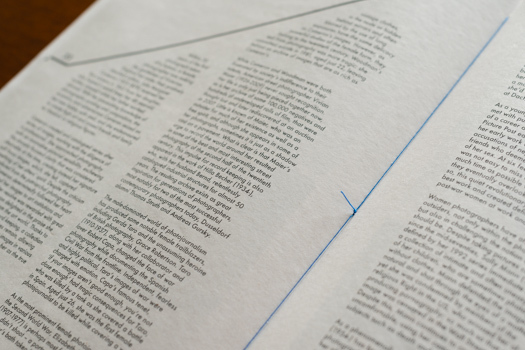 The publication was designed by Stanley James Press and printed by Stampa. 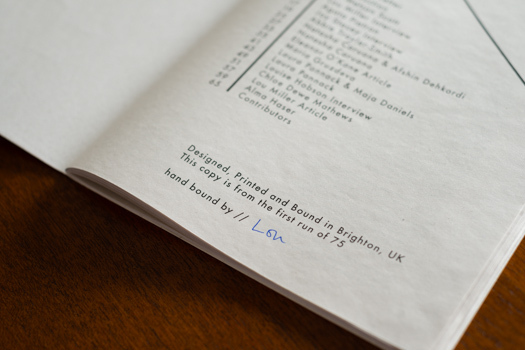 Designed, Printed and Bound in Brighton, UK. Will be adding this to my basket, looks great.